Overlooking the rocky Pacific shore Pigeon Point Light Station has been guiding ships since 1872. 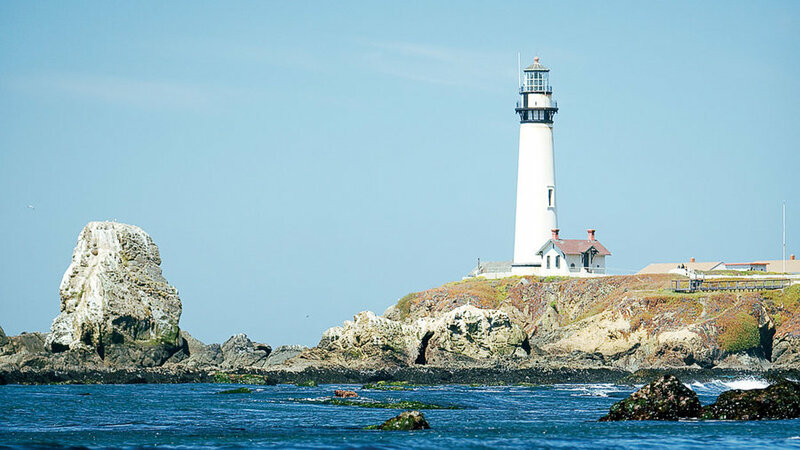 The stretch of shoreline between Pescadero and San Gregorio seems like the land that time forgot – until you step into a gas station for an outstanding taco or gather heirloom seeds at an updated country store. September’s clear days are the perfect reason to take a meandering drive connecting ocean views and small towns. Pescadero is 15 miles south of Half Moon Bay, 2 miles inland from State 1 on Pescadero Creek Rd. San Gregorio is 10 miles south of Half Moon Bay; from State 1, turn east on State 84/La Honda Rd. and go 1 mile. Stage Rd. traces a narrow, winding inland route between the towns. The gas station at Pescadero’s crossroads gives no hint of the busy taqueria within, serving great tacos such as al pastor (barbecued pork) or savory lengua (tongue). INFO: $; 1999 Pescadero Creek Rd. ; 650/879-0232. 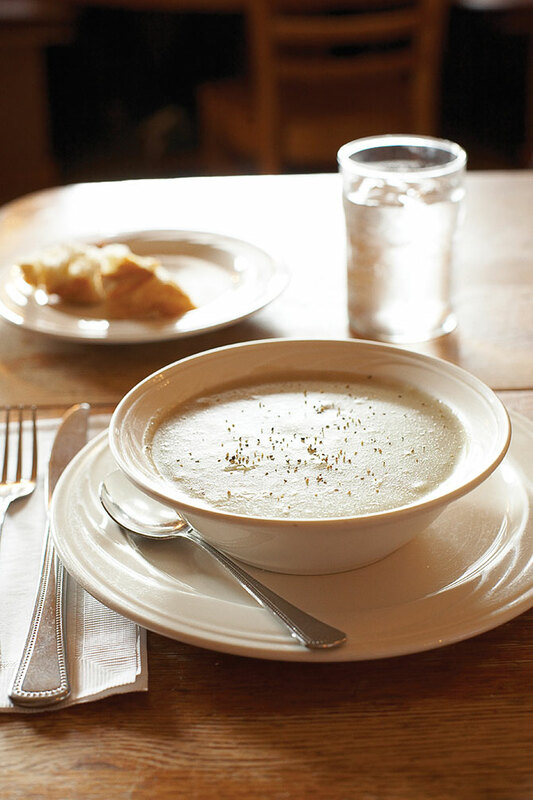 Duarte’s Tavern serves locally grown artichokes in a delicious creamy soup, plus pies and other treats. The roadhouse is justly celebrated for artichoke soup, but don’t overlook seasonal specialties such as tomato salad with local goat cheese or fresh sand dabs. INFO: $$; 202 Stage Rd. ; 650/879-0464. Relax with a picnic and watch the surf beat against the shore’s rocks. INFO: $6 per vehicle; State 1 at Pescadero Creek Rd. ; 650/879-2170. Build your dream castle on the wide expanse of sand. INFO: $6 per vehicle; State 1, about 3 miles north of Pescadero Creek Rd. ; 650/879-2170. Check out the grounds at the 115-foot lighthouse (the interior’s not open to the public). To reach a newly accessible cove, head down the staircase near the entrance. INFO: Pigeon Point Rd. at State 1, about 5 miles south of Pescadero Creek Rd. ; 650/879-2120. 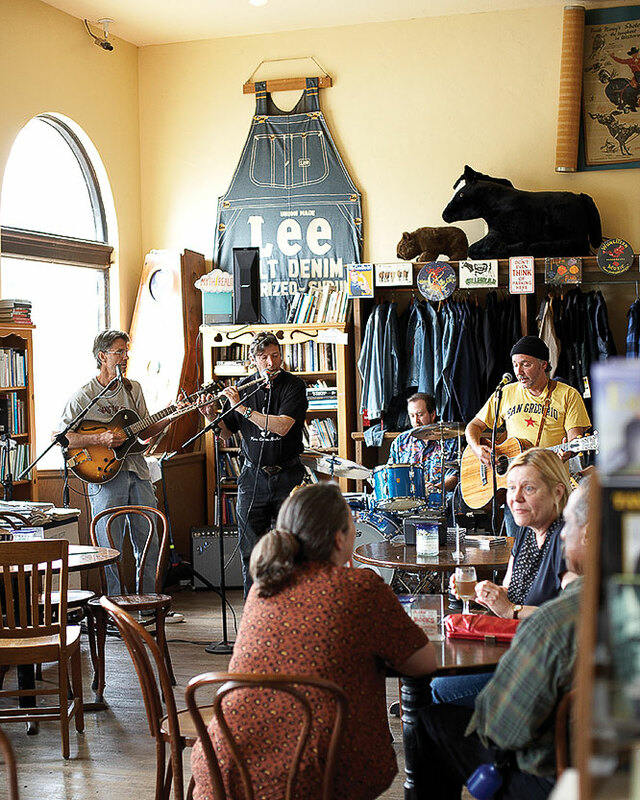 Catch live music or shop for household goods at the San Gregorio General Store. Grab a drink at the bar, browse items from western wear to coloring books, or, on weekends, hear live music. INFO: State 84 at Stage Rd., San Gregorio; 650/726-0565. Find garden inspiration at the nursery, or stock up on dried beans for autumn soups. INFO: 2700 Pescadero Creek Rd. ; 650/879-0787. Take an extra day to explore by booking a lodge room, cabin, tent bungalow, or campsite at Costanoa Lodge, about 10 miles south of Pescadero (campsites from $50, tent bungalows from $115, cabins from $185, rooms from $210; 650/879-1100). The place’s relaxed spirit fits that of the coast, and walking trails lead to gorgeous deserted beaches. Check the website for good deals.